What’s not to love about Caitlyn O’Leary books. There is lots of humor and it’s charming story. I read three books back to back to back, I could binge on her books all the time. 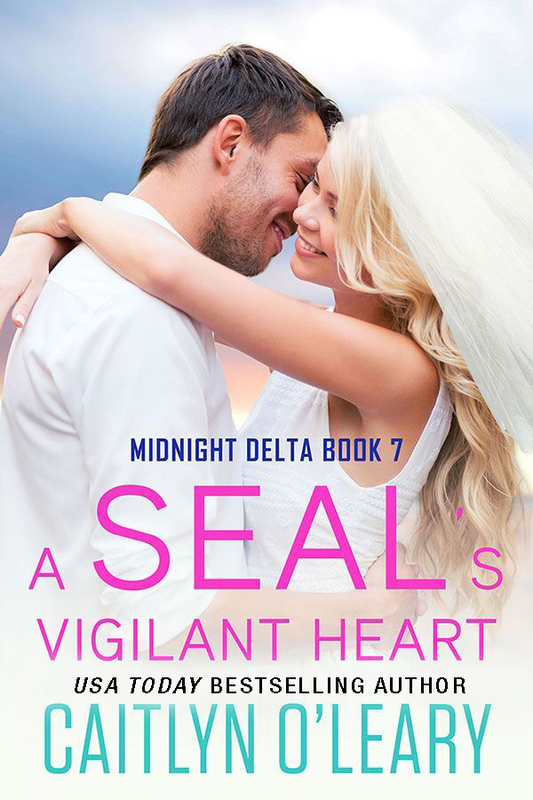 A SEAL’s Vigilant Heart Midnight Delta is Book 8 and I loved reading this story, it’s seductive and I could have read more about this alluring couple, even after the book was finished. This is a wonderful read, I couldn’t put it down until I finish it. I absolutely adored the characters in this book! Mason and Sophia are getting married with the wedding of their dream. Mason is a Navy Seal and he is wounded while on assignment for the first time since he and Sophia has been engaged. Sophia is concern but she trust him, but she started to have nightmares again. Mason is concerned over her nightmares and he makes a decision without discussing it with Sophia. There are parts that bought tears to my eyes and parts that I laughed out loud. I love Caitlyn O’Leary writing style. I give this FIVE HEARTS! It will give you hot flashes throughout the book! I would recommend this to everyone who loves a steamy romance with humor.